The calming warmth of the holiday season brings the fire of Christmas spirit, lit by the memories and traditions from Christmas past. This year, start a new and memorable tradition that will forever burn joyously inside the hearts of your loved ones. Change the way your family and friends enjoy your favorite Christmas meals by cooking on the open fire. No, I’m not talking chestnuts. I’m talking about fresh, mouth-watering, homemade meals cooked right in the comfort of your PJ’s. With the help of your Firetainment Fire Table, Cooking Mount, Dutch Oven and Griddle you can create a lasting tradition that is passed down in your family for generations to come. Here are a few holiday meal ideas to get you started. Happy Holidays and bon appétit! Try our Simple Quesadillas. Turn this traditional Mexican dish into a family holiday favorite by adding your personal touches such as seasoned chicken, chives and diced red peppers. 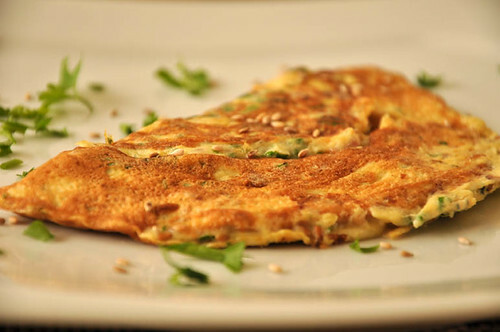 Or, switch out the tortilla for eggs and you’ve got a delicious omelet made for Christmas brunch. 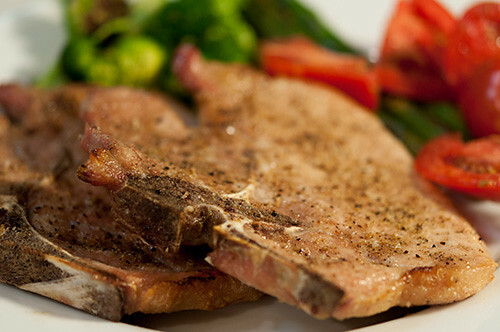 Christmas dinner isn’t complete without succulent and juicy pork chops. Try your hand at our Mediterranean Grilled Pork Chops paired with your favorite seasonal veggies and rosemary. What are the holidays without dessert? 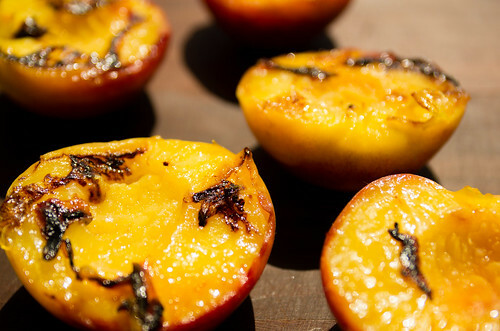 Grab a spoon and dig into this holiday treat of Grilled Peaches with Ice Cream. This sweet and fruity dish is sure to go over well with kids of all ages but, if you’re feeling extra festive, add grilled green apples with a caramel drizzle. Find these recipes and much more in the free downloadable Cooking With Firetainment Cook Book. Although it’s been said many times many ways, Merry Christmas to you.